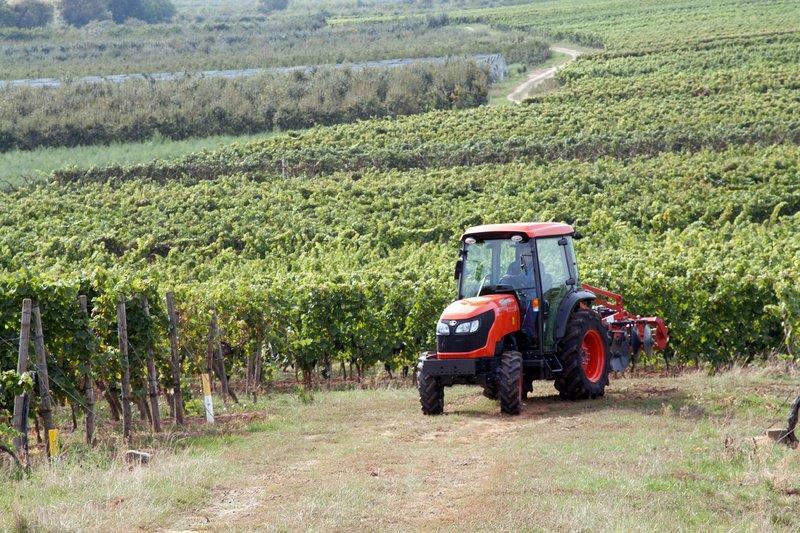 The M8540N is fully manufactured by Kubota in Japan and fully supported in South Africa it combines the power and functionality of the M8540, but incorporates a narrow compact body – making it ideal for vineyards, row and orchard work. Kubota has invested resources into making a slimmer tractor that is easily manoeuvrable within tighter spaces. 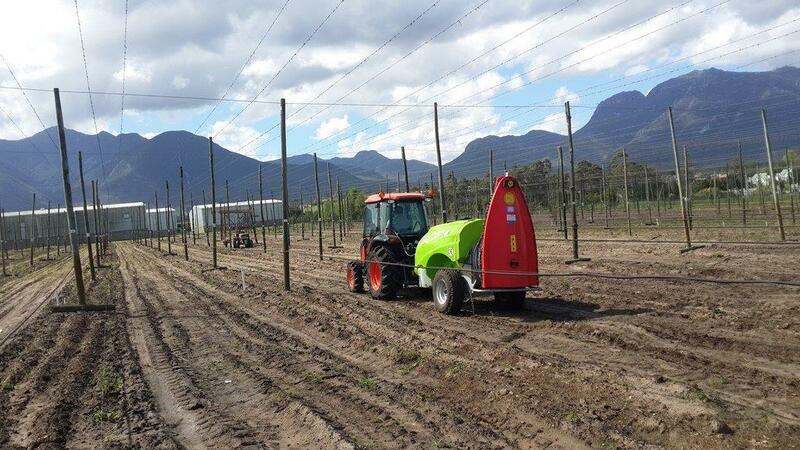 The M8540N is primarily used at an orchard alongside a variety of attachments to carry out vital tasks including spreading, fertilising, top spraying and rotavating. 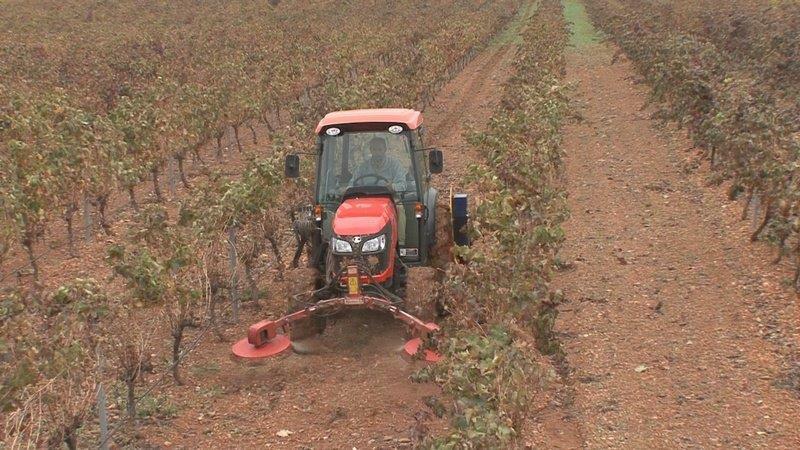 The narrow 1.22m body ensures it comfortably fits between the tight rows, while the extensive range of standard features consistently impress users. 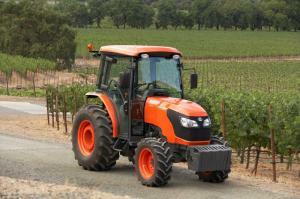 The M8540N also features Kubota’s unique bi-speed turn feature, which ensures that whenever the front wheels exceed a turning angle of 32 degrees, the speed of the front wheels will be increased to nearly double that of the rear wheels. 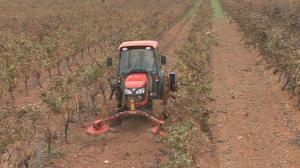 This results in a smoother and much tighter turn – adding to the tractors suitability for row and orchard work. 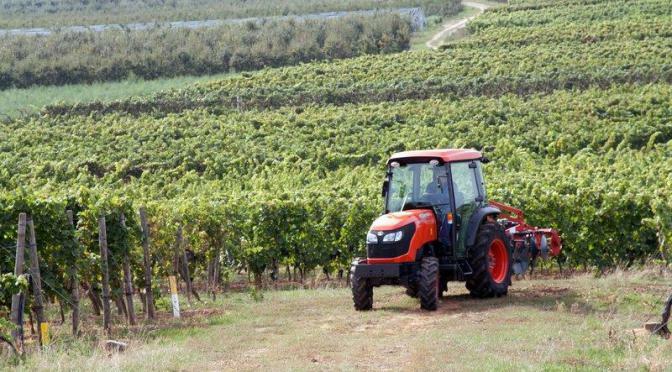 The physical dimensions ofthe tractor compliment the impressive max speed of 37 km/h, which is ideal for the times we need to take it onto the road. Complimenting this with 85hp and 4WD ensures the tractor is powerful and robust, and remains steady even on muddy and wet ground. 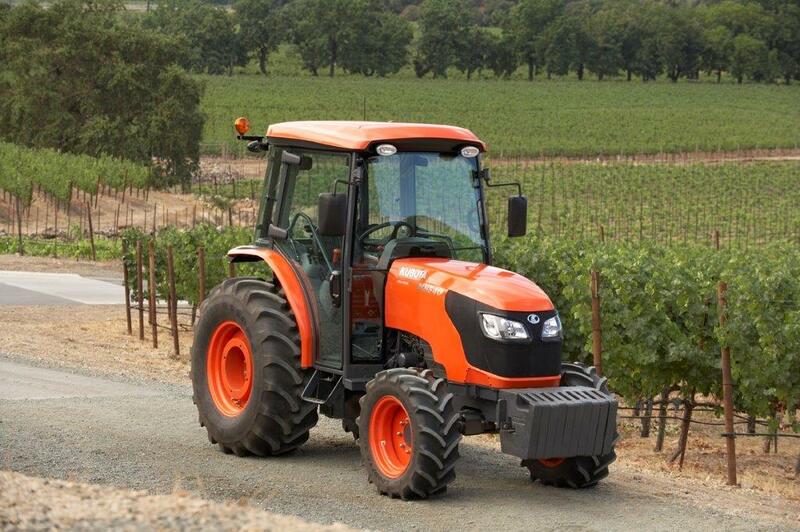 Other exciting features also make the Kubota M8540N an appealing machine such as the air conditioning to help keep cool in hot weather and the heater to keep warm in the colder months. In addition the M8540N has a larger cab than other narrow tractors boasting comfort even when using it for a whole day’s work.